CBD Oil Review rates the Cibaderm line with two stars because it qualifies for the Quality & Charity Badges. Cibaderm, Cibaderm, wherefore art thou Cibaderm? That’s how we felt trying to pinpoint this brand’s products online. Cibaderm is under the HempMeds PX family of brands, and HempMeds PX is a subsidiary of Medical Marijuana, Inc., a publicly traded company. Two of six of Cibaderm’s products were completely unavailable for purchase at any of the third-party sites we checked, and many of the remaining were out of stock at various online retailers. 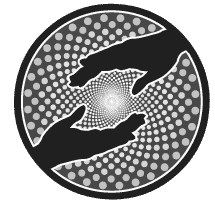 We’re willing to award Cibaderm a couple of badges largely based on the actions of their parent company, HempMeds PX, but the overall prognosis is a bit of a tragedy. Save 15% at the CBDfx checkout on all CBD gummies, tinctures, balms and more! Cibaderm does not have their own website, and it can be tricky to track down their products online, as they are sold by many third-party vendors and often out of stock. 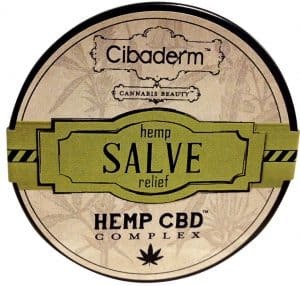 Cibaderm falls under the HempMeds PX umbrella of brands as a hemp oil infused bath and body brand with skincare and haircare options. The brand debuted at the 2013 CHAMPS trade show in Denver and has supposedly been sold domestically to all 50 states and internationally to over 40 countries ever since. According to HempMeds PX, they utilize supercritical CO2 extraction in all their oils and source from European industrial hemp free from herbicides, pesticides, and other chemical contaminants. They claim to perform triple lab testing, but we see zero results posted for the Cibaderm line. Cibaderm concoctions for skin and hair are meant to provide a natural, luxurious experience with anti-aging benefits and freedom from common toxins like parabens, dyes, fragrances, and sulfates. Each features a potent mixture of CBD with steam-distilled botanicals à la ginseng and licorice root. The skincare offerings include a hand cream with jojoba seed oil and hemp salve. A body wash and body lotion exist or did at some point, but we were unable to find them for sale anywhere online. Cibaderm shampoo and conditioner are designed to repair hair naturally and protect it from exposure, and we’ve seen the conditioner going anywhere from $14.25 to $30.00 on different sites. The haircare line has some of those weird ingredients we can’t pronounce and frankly don’t like to see, but they all check out more or less, except for one. Cibaderm’s shampoo contains cocamidopropyl betaine, an antistatic conditioning agent known to cause irritation/allergies and exhibit contamination concerns with another antistatic agent. The Environmental Working Group rates this ingredient 4/10: too high for us and not a good look in the CBD world where plenty of businesses don’t use these sort of additives. Bottom Line – At this point, Cibaderm seems a bit sketchy; their products are strangely spread out across various third-party sites with many out of stock and others unavailable even on their parent company site. Perhaps they are being phased out or making changes, but whatever the reason, we still need to see more in order to rank Cibaderm higher. Cibaderm is a subsidiary of HempMeds PX, sourcing non-GMO industrial hemp from Europe and performing CO2 supercritical extraction to procure their CBD. Cibaderm’s parent company, HempMeds PX, offers a 15% discount for veterans and is affiliated with the nonprofit ECHO. We're consumers of CBD products too and after being fed up with such a disorganized CBD landscape we created this to level the playing field. We want to help you find the right CBD oil products so that you too can thrive! Got a question? Contact Us. Copyright © 2018 CBDOilReview.org. All Rights Reserved.